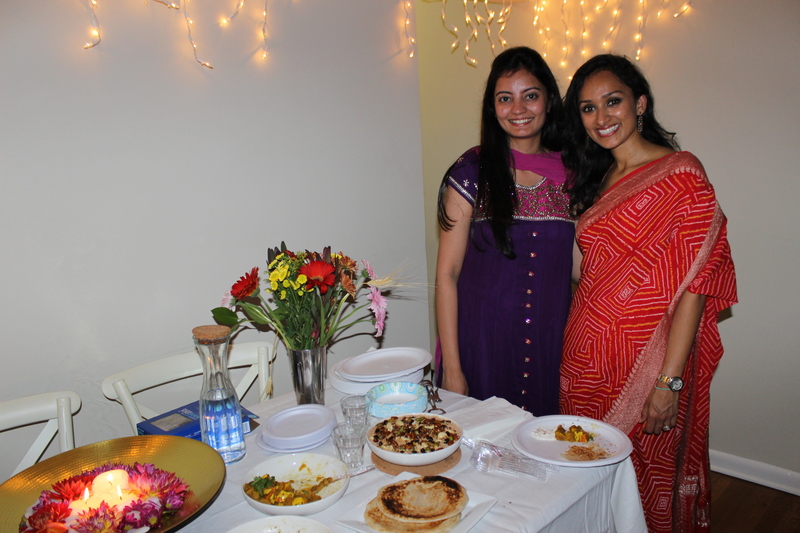 Last night, the Husband and I were invited to our first-ever Diwali party. We both had to consult Wikipedia and a few friends to study up on this “festival of lights” and make sure we brought our house-guest “A” game. 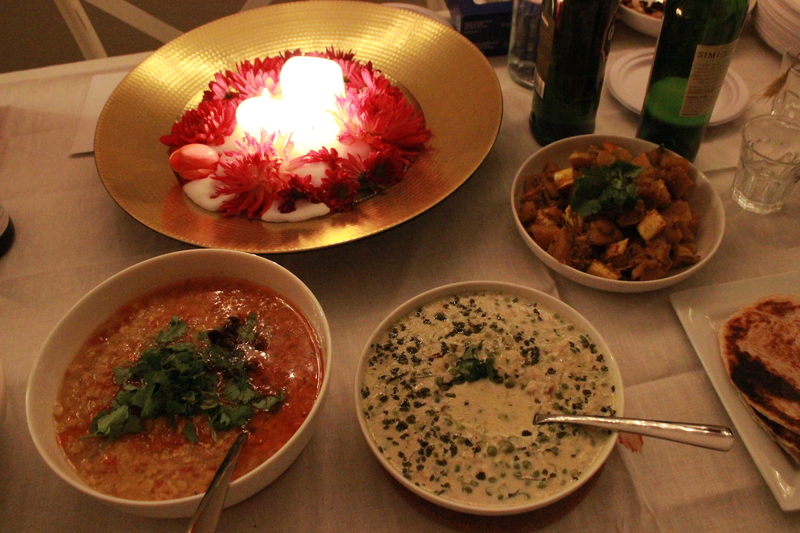 A friend told us that in some Indian states, Diwali is celebrated as New Year’s, though others at the party disagreed. (I wore some sparkles, just in case.) Either way, we were happy to be invited – especially as it held special significance for the hostess: her first Diwali as a newly married woman. 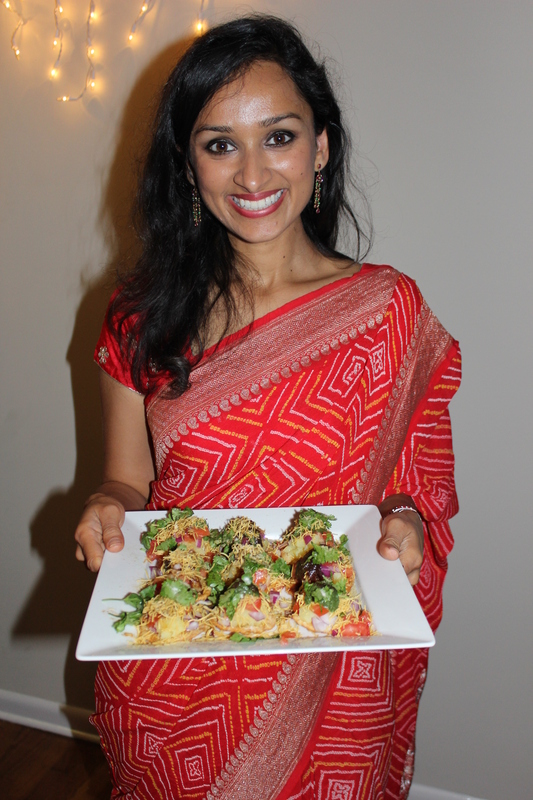 The food was unbelievably, ridiculously, incredibly delicious – and 100% vegetarian. She told us she had been up since 7AM that morning cooking and Skyping with her mom back in India, and it showed through in each dish. Nothing we had tasted like anything either of us had ever sampled in any Indian-style restaurant. We learned, actually, that most of the restaurants and style of food with which we’re familiar come from North India, and even more specifically, from the Punjab region. This is where dishes like tandoor, naan, and paneer come from (though a little research on aforementioned Wikipedia implies that chicken tikka comes from Southern India, while my favorite, chicken tikka masala, might actually have its roots in the Indian community in the United Kingdom!). I won’t even attempt to recreate the dishes here. 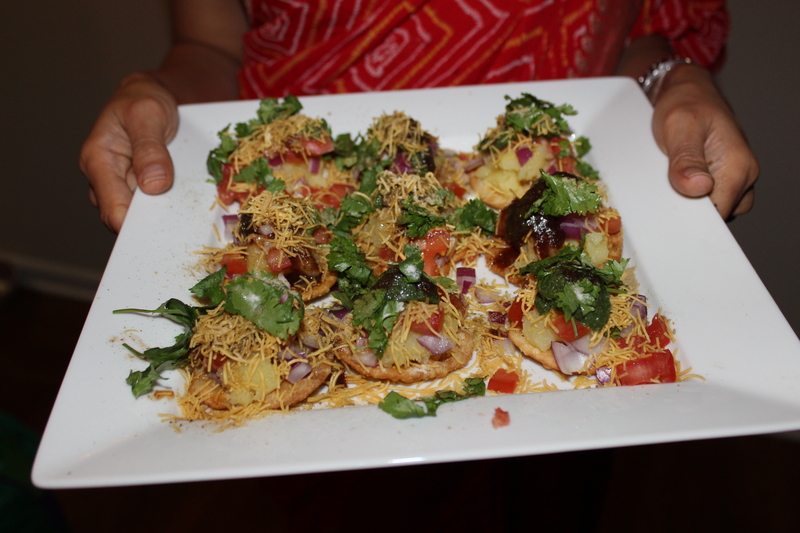 If you’re interested, though, I found the following recipe for the all-star appetizer, Papdi Chaat, with relatively simple, step-by-step instructions here. truly one of the most memorable meals we’ve had! Posted on October 19, 2014 December 7, 2014 Author varinajCategories vegetarianTags indian, lentils1 Comment on Happy Diwali! Before my parents moved out of our childhood home a year or so ago, my mom spent about a year prior to that downsizing all of our (material) things, including her collection of cookbooks. Which means somehow I ended up with the 1998 Weight Watchers New Complete Cookbook. And I’ve actually cooked out of it…which leads us to tonight’s meal. Spoiler alert: this (adapted) recipe is a go-to in our house. I make it when I’m feeling run down, tired or feel like I really just need a big bowl of nutrition. (Yes, that is a feeling). I’ve made it with all different types of broth and greens; I think the combination of Swiss chard and beef broth is the best. In a large saucepan, heat the olive oil and then add onions. Cook for about 4-5 minutes; add garlic. Keep stirring so the garlic doesn’t burn, and then add broth and lentils. 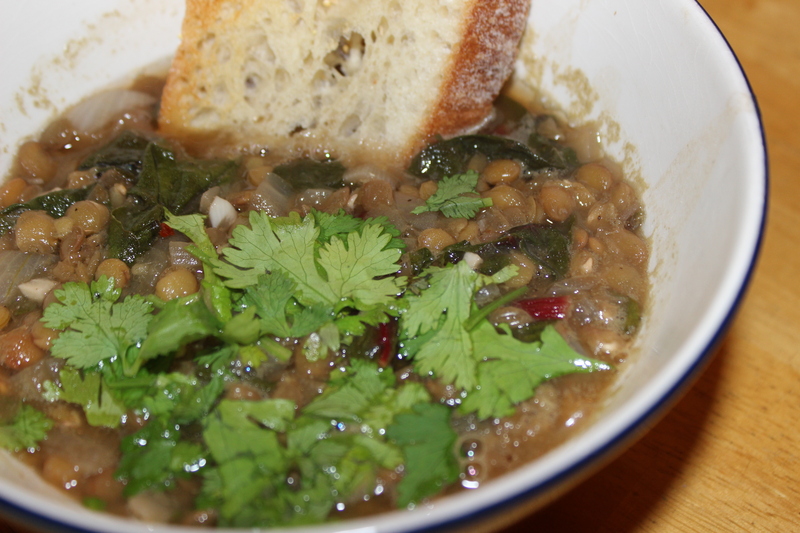 Bring to a boil, and then reduce the heat, cover, and simmer until lentils are cooked through (about 35 minutes). Add the Swiss chard, cumin, crushed red pepper, and salt and pepper. Cook until chard wilts, above 5-6 minutes. Stir in lemon juice. Eyeball the broth – make sure there’s enough in there to meet your needs! Serve with cilantro and – if you’re feeling decadent – parmesan cheese. apparently, everything around here features cilantro. I made tonight’s version with a combination of chicken and mushroom broth, which didn’t quite pack the same punch as beef broth. But it was delicious, all the same, and makes plenty of leftovers (again, if you’re feeding only two people). And it would have been super healthy, too, had the Husband not had his with a side of…mini frozen pizzas. You win some, you lose some. At least we got that bowl of nutrition.